Approximately 10 to 12 million in number, the Roma constitute Europe’s largest ethnic minority, yet in many countries they are still viewed as second-class Europeans. Anti-Gypsyism is rampant. It is is an ideology, and the belief that Roma are inferior, capable of less, do not have the will to catch up with the non-Roma, or are unfit to be good citizens of the countries in which they have been living for centuries. A recent survey by the EU’s Fundamental Rights Agency shows prejudice against Roma at an all-time high as a new wave of hate speech threatens to target the Roma once more. Many Roma remain condemned to a life at the margins of society, excluded from basic services, discriminated in their access to quality education, employment and housing, denied genuine participation in projects affecting their communities, and invisible from public life and history books alike. The human rights crisis facing the Roma is not new. For centuries, the Roma in Europe have been systematically dehumanized, abused and excluded. They have suffered slavery, the Holocaust, forced sterilisation, segregated education and housing, forced evictions, discriminatory policing, the denial of citizenship, the institutionalisation of Roma children, and hate crimes. The historical injustices and serious human rights violations perpetrated against Roma have devastated communities, undermined self-esteem for many, and caused profound mistrust between Roma and non-Roma. Still, little is known about these dark chapters of history. What we do know is that the alarming situation of Roma women, men and children and the limited impact of recent Roma integration efforts comes at a high moral cost for the European continent and urgently demands a new and different approach. The first article of the Universal Declaration of Human Rights proclaims that all human beings are born free and equal in dignity and rights. The European Parliament reiterated in its resolution of 12 February 2019, that anti-Gypsyism is a specific form of racism. States must ensure that the Roma can enjoy their human rights on an equal footing with all other persons and groups in society. Programmes that approach the Roma as ‘a social problem’ have largely failed and are unlikely to produce a different outcome in the future. In addition, as long as strategies for inclusion fail to also explicitly address conscious or unconscious negative stereotypes and biases against the Roma by the majority population, they are likely to only produce limited, if any, real inclusion. 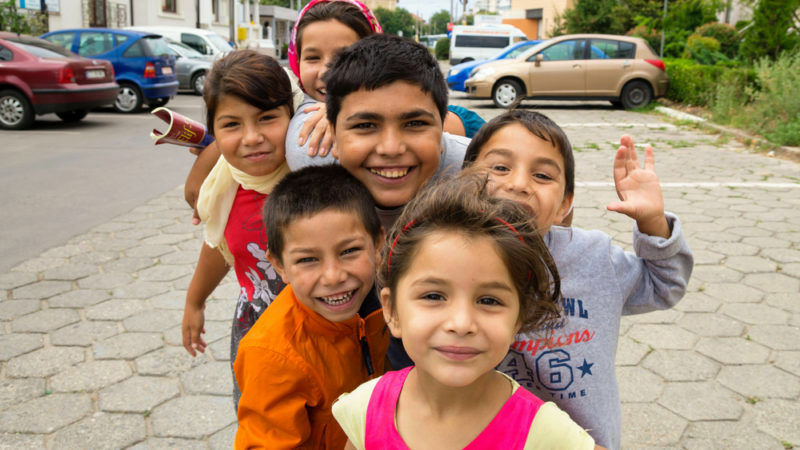 We therefore advocate a human rights-based approach to Roma inclusion. This requires a renewed political commitment at the highest level, authentic Roma participation, starting with local communities, transparency, accountability, and comprehensive and coordinated engagement between regional, national and local levels. To rebuild trust between Roma and non-Roma, we need to tell the truth about historical injustices, recognize the cultural identity of the Roma and their contribution to Europe. Only when truth is uncovered can the road be paved towards reconciliation and human rights for all. Truth and reconciliation is an essential step in the fight against anti-Gypsyism and the resulting dehumanisation of Roma. In the European Parliament today, the conference ”Creating Trust through Uncovering and Recognising the Truth: Advancing Recognition and Remedy for Anti-Gypsyism” will draw on experiences with Truth and Reconciliation processes worldwide, as well as on efforts to recognize anti-Gypsyism. We realise that this is an audacious move and that centuries of dehumanisation will not be easily overcome. However, we believe such a process is vital to a better and more united future.